If you're responsible for planning an event at a park or other outdoor location without access to electricity, FreshAirParty.com has the power you'll need. 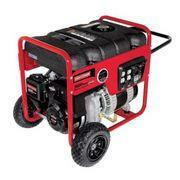 When planning a party or event at one of our local parks you will often be required to provide your own power source. Make sure to ask when you reserve your location, and if you're unsure of the power needed please call us at (770) 279-2787 and we will be happy to assist you. Browse the selections below and click on the image or "More Info" link for additional information and to make a reservation.